ENTRIES ON R, 10: 7 WINS. 3 LOSSES. ENTRIES ON S, 2: Arrow towers S5 1 entry. magic garrisons S5 1 entry. PROS: ideal pathing. effective range of hereos. ideal hero base formations. excellent use of bombs. good retalliation time for spawns on all areas. boss does not attack over walls. boss will be lure to inner heroes keeping none range heroes safe. 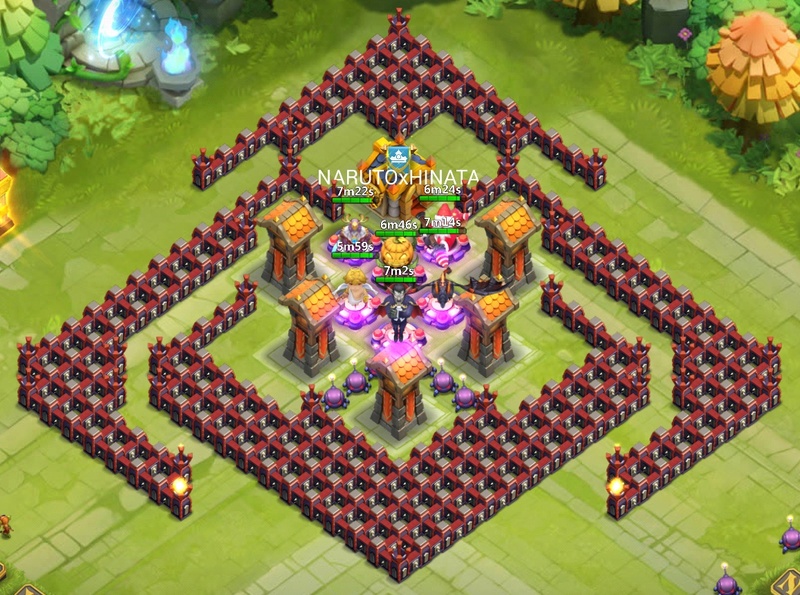 good anti atlanticore base. CONS: being a corner base it is weak to corner spawns, but not critically enough. buildings tend to be easyly destroy leaving a short amount for final wave, but its weakness are very minner considering its pros. CONCLUSION: no core procs. amazing reliabilty, all around strong design from rear to back. no matter where enemies approach heroes will keep a tight formation maximizing damage output from the whole team. losses where attributed to cupid dieing, but thats fixable with repositioning. good consistency. magic garrisons will yield greater results then with arrow towers. 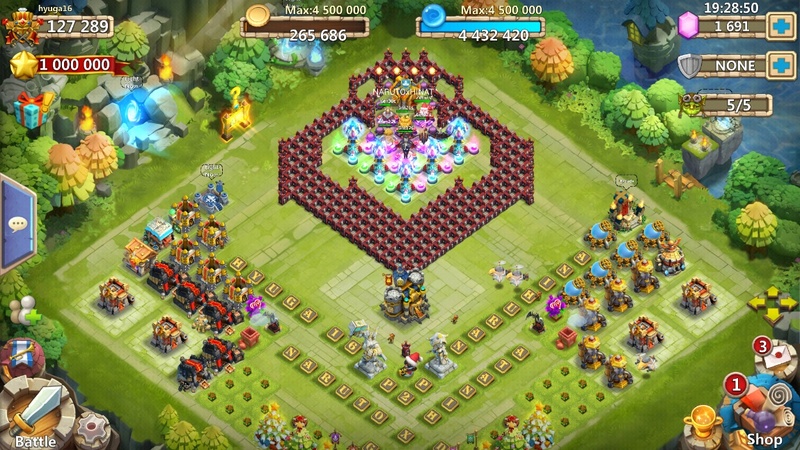 best base for HBM S+. would recomend to all players. ENTRIES ON S, 2: Arrow towers S4 1 entry. magic garrisons S4 1 entry. PROS: the best use of bombs. effective use of pathing. boss does not attack over walls. high building survivability. excellent responce agaisnt ground heroes. buildings lure enemies keeping your heroes safe. atlanticore is greatly neutralize. fun base to use plus it works. CONS: weak to flying heroes, which can separate your heroes reducing team effectiveness. does not have most ideal hero base formations do to being a deathbox concept. once heroes seperate enemies will gain energy allowing them to proc. CONCLUSION: 2 core procs of a total of 12 runs. weak to team being split do to flying heroes. very good against ground troops. base on results its a very good base specially good for a deathbox concept. i would recommend for Q or R with or without magic garrisons. is not a bad base could help players with more ground /range hero teams. works well on R and lower, very good for Q, most consistent base. 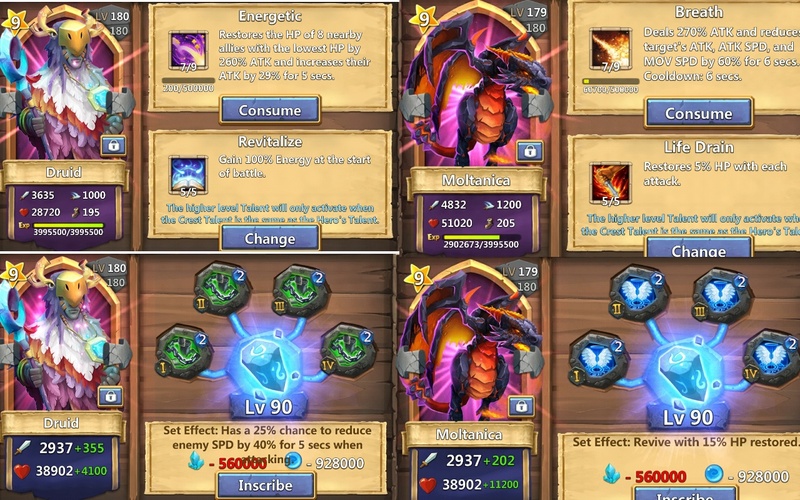 would recommend for players looking to farm Q. will yield better results with magic garrisons. PROS: good front design. good front pathing. good hero retalliation times. buildings will lure enemies. good hero base placement. fun base to use plus it works well. CONS: weak to corner spawns, atlanticore was able to proc three times do to poor rear design. without all range heroes i feel that front pathing can become a disaster. bombs are porely use. CONCLUSION: 3 core procs, thats bad for a corner. on S front pathing became a weakness and rear pathing became troublesome. giving the design it is unfriendly to players with ground heroes. worth a try if you like. from my test i determine that it can work on R and below, but on S it does not work well once you reach S4. boss and mobs will be hard to deal with. would recommend for ideal teams, very good base for that. will yield better results with magic garrisons. ENTRIES ON S, 2: arrow towers S4 1 entry. magic garrisons S5 1 entry. PROS: effective use of bombs. effective use of hero bases. high survivability for buildings. good retalliation from enemy spawns on mid area. CONCLUSION: good pathing, but stagger entrances are weak to core or other heroes procing(this area alone will be your biggest loosing factor), corner spawns can be risky but not to much. enemies can attack over walls. core proc 3 times. all heroes may not retaliate depending on spawns. ill say it again stagger entrances leave room for danger, can be a very risky area for players without vlad. i would recommend this base no less. will yield better results with magic garrisons. ENTRIES ON R, 10: 4 WINS. 6 LOSSES. PROS: good use of bombs, good use of buildings, decent hero responce time to enemies. CONS: prone to atlanticore procing, enemies blowing bombs early, boss killing heroes on final wave, other enemy heroes procing and your heroes splitting. poor pathing once enemies reach base, entrances allow for enemies procing. CONCLUSION: base has alot of weakness specially when it comes to atlanticore it was able to proc 5 times. as well as many other heroes. it is weak to team being split and flying heroes, boss can attack heroes on entrance. will allow for enemies to build up energy and proc constantly. would not recommend. should yield better results with magic garrisons. Checkout the links for more info about this bases and updates. 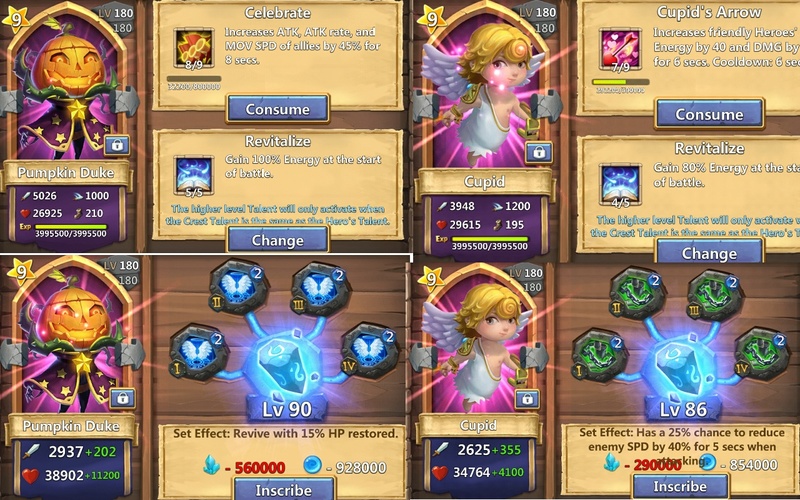 I would recommend using some revive crest and slowdown crest on your heroes to increase your heroes survival and to reduce threat from centaur boss. other usefull crest would be damage increasing crest or hitpoint boosting crest. note depending on your hero team results will vary depending on the HBM challenge you face. no less if you choose the right base of the 5 shown here results can be desirable for your team. LOWER TOWN HALL VERSIONS OF THIS BASES ARE GREATLY WELCOME. DO YOUR PART TO HELP YOUR FELLOW CLASHERS. Wow. Very impressive, nice work. Good guide mate, well done. On a side note, I don't mind that my base came last with the results. It was designed to help people with HBM O/P+ when there were no other designs for HBM II so it exceeded my expectations when I was able to farm R with it. As a recommendation for those who use the same heroes as the OP, swap Vlad and Moltanica around.. you'll get better results. nice post but you and everyone knows certain bases work for certain people and the ones that usually cant keep up need modifying to do so but congrats on finding the base that works the best for you. And there is obviously biased answers because there has not been enough trials to make facts and clarify exactly what is good or bad about a base. True on some points. I wasn't bias to the results simply stating the results. Yes different bases will work differently depending on player heroes and buildings levels. 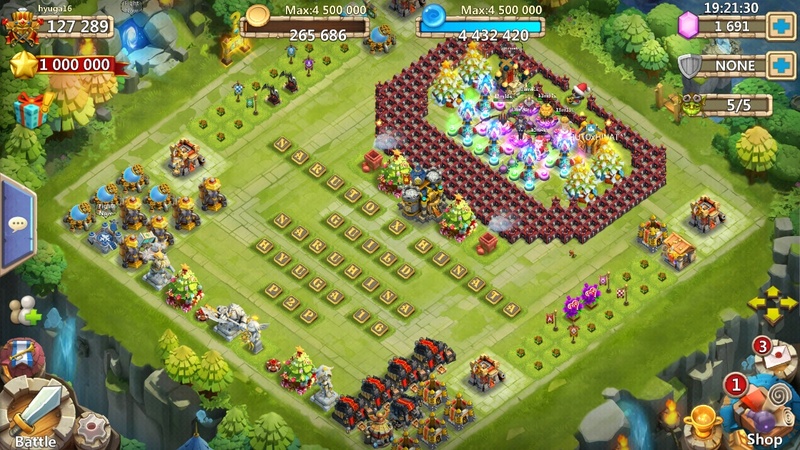 Yet the essence and effectiveness Of this bases can be kept. Even f there moded to Lower level town halls. And true much more testing Is needed to get a good percentage per base. I will do 10 entries per base, no more. Entries take a long time to obtain especially 60 entries that will be share between 5 bases. I will try to present clear and valuable information as possible when the trials are done. Thanks for input. 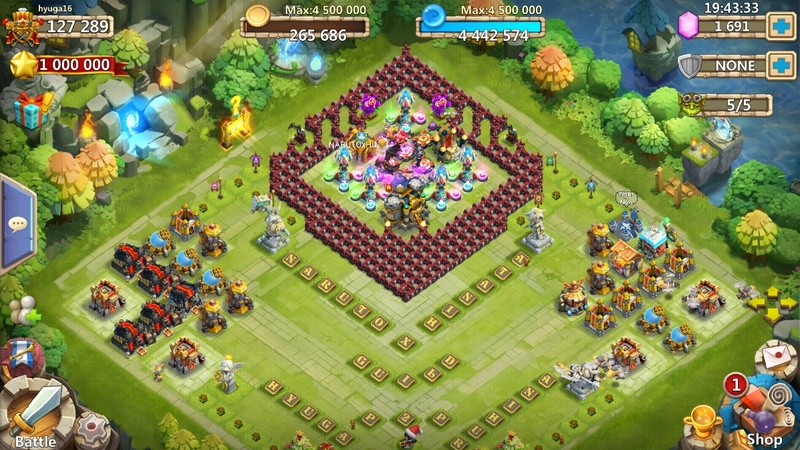 Also this thread can be use To help each other out with this bases, be it hero Recommendations or lower town hall mod verisons. Aw yes. Still i didnt go out of my way to post unbiass results. One can like something but can Still show were what he likes is at fault/fails. So in that regard what i meant is that despite that i like it, that it isnt perfect and that just because i like it doesnt mean is the best to use. Something like that. Haha if you will that i should change it i will. *if you think i should remove those personal views i will. Haha That's right I will fix that. Thanks. Great analysis. While I would love to see more than 6 attempts per base, using a total of 30 attempts to try all 5 is admirable. Thank you for your hard work! 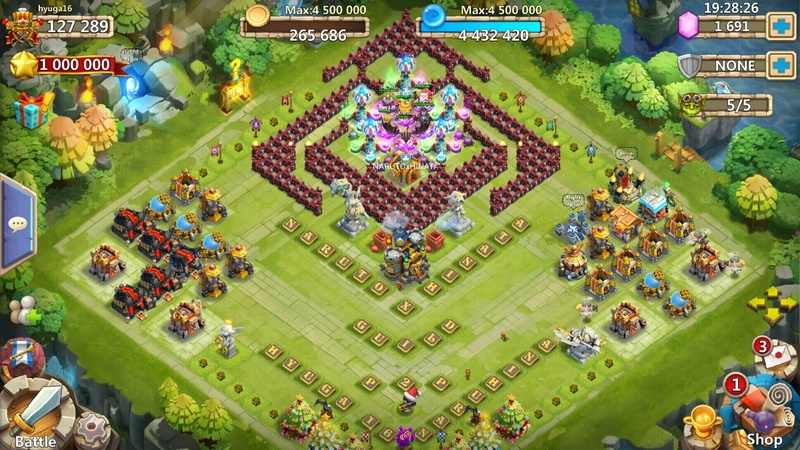 Yes i will be testing each base with 10 attemps on R each plus 2 attemps on S each 1 with magic garrisons and 1 with arrow towers. It will be a total of 60 entries. Gonna take Awhile. BTW: to add some weight to your conclusion: I currently have a TH at level 16. I tried to modify Cordi's base but was able to get ~80% on P. I then modified War-machine's base, and was not only able to beat Q, but farm it too! Can u upload the photo? I'm slightly against these results, as I find heroes and crests make a big difference. I haven't lost an hbm R since I started using my base. I use the exact same heroes as the ones you posted as well. I've got many more than 6 attempts ran with it as well. Ps that isn't Karmas base either, it's the "Icebreaker" from a well know youtuber....and he doesn't frequent these forums due to trolls....like Karma. I personally think every base is subject to varied success based off of garrisons and heroes skill/talents/inscription. 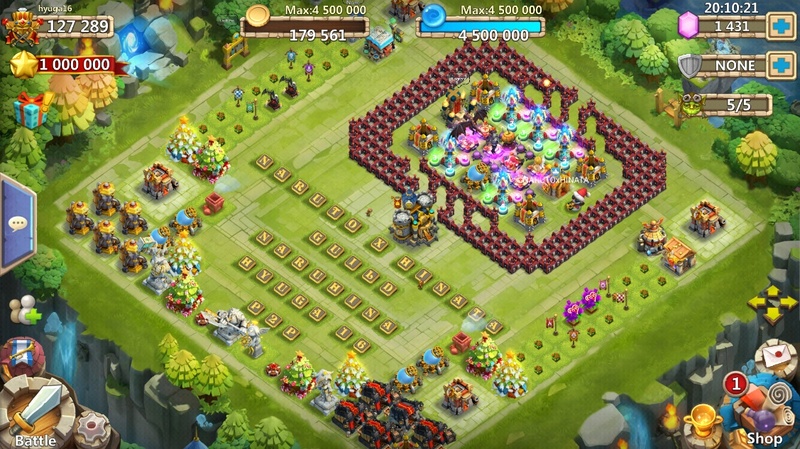 I would suggest that my base be ran like my original post on the forums. Overall, not a bad job of examining them. Nice post. The base IK claims is his design, is BFK666's base, he being the youtuber, and that's where I saw it first, like IK did I assume. Yea I couldn't remember the combination of letters and numbers but you are absolutely correct. He's a goofy, stoner hippie imo... but he does try some interesting base designs. His Icebreaker build was the first base i successfully farmed P and Q with beings I didn't have Vlad, Santa or Orc. Bases are name after the player i use the base from. If anyone else had it before i was not aware. I will continue up to 10 entries per base. Chris i do think your base is really good, i love the front entrance. I think with 10 entries we should get a good percentage to make your base stand out. I will ran Your base as you have yours on post on last 4 entries. I'd also mention that you kind of over criticized the weakness of my base in regards to corner spawns...as mine is superior to war machine's. The guild hall is distanced so that only shaman can reach it from the ground. All other ground troops must run around. This is critical beings your friendly ground units such as orc, druid, or pd will not jump the wall and stay marooned. At worst they will follow the enemies back into the base. On top of this, the pathing is actually longer around the top corner and the guild hall lives longer due to the more limited amount of enemies who can attack immediately after spawning. I'm curious to know why your interpretation seems biased. I've run all of these bases, hence why I've designed mine....to eliminate the weaknesses of the others. I will whole heartedly suggest running my base with 3 flyers on the bottom base...all ranged on the corners and pd in the center....although tanky ground heroes can be used in the top corners. Just my two cents though. Cheers to the time invested in this though. Anyone is welcome to join the chat of developing or modding these bases as it helps the entire CC community. I only suggest that they be critiqued objectively and free of bias. I did critic free of bias. I use the same heroes as you with the same positions as you. 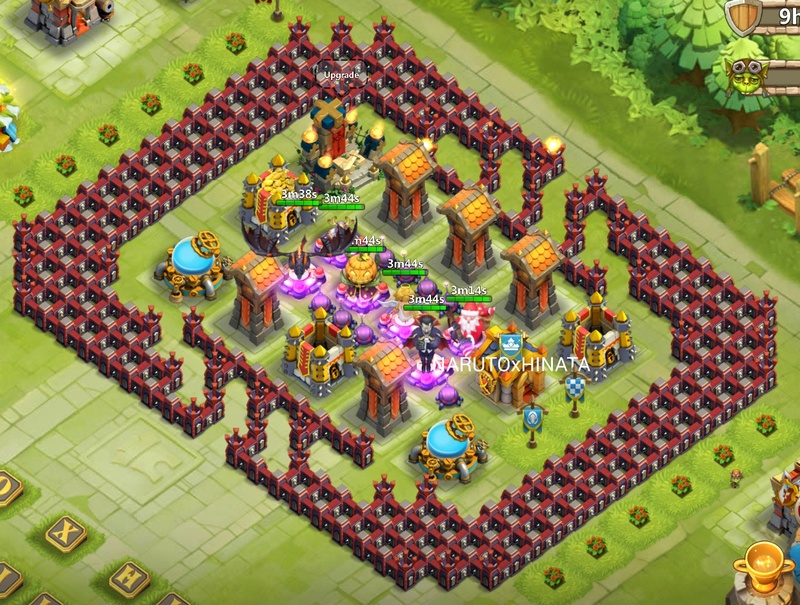 The corner is weak because all the spawns will walk straight to the inside, this created a huge crowd of enemies, once the guild hall is down your heroes will become the target, from my observations this allow multiple heroes to proc on this area and for core to also Proc and cause me to loose. The front design is perfect though. And i feel that if rear had a wall formation like war-machines the enemies could take longer to attack buildings and heroes, as well as to Not flood the rear. With some pathing to make em walk a bit longer on rear your heroes Could achieve a greater success for the rear. Rear from My observations is weaker to war-machines and karmas. But if you fix it i think your base could Be really good. I'm confused as to how the pathing needs longer....it's literally longer than war machines. As well as only flyers and shaman can immediately attack the guild hall. In war machines...as soon as they spawn any ranged (ground included) can attack the guild hall without needing to path around. The guild hall dies much quicker. I used to run War Machine's base prior to designing mine. I made the pathing longer and the distance for the guild hall 4 tiles away to force them to funnel to my heroes vs my heroes having to go meet the enemy and possibly wall jump. I think if you ran the base more, it may change your mind. And about the huge crowding inside, I find it useful due to vlad and molt being able to wipe them with one proc. 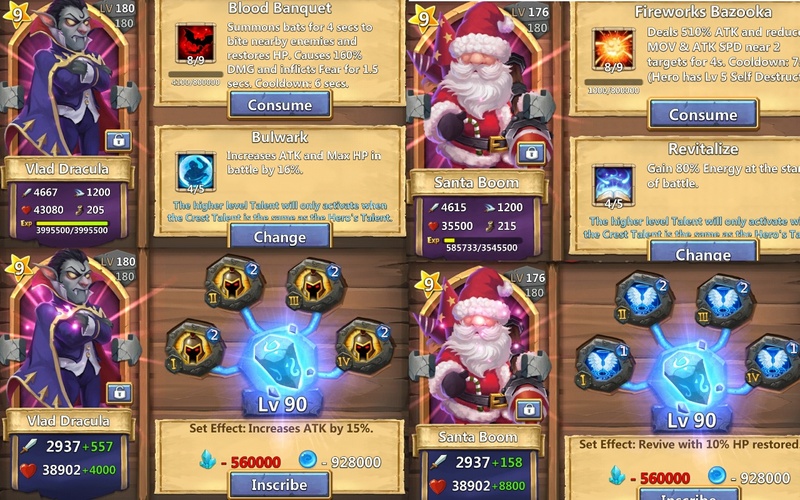 It even makes Santa's proc more "accurate" versus trying to hit spread out units. But more than anything....my base is designed for garrisoned MAGIC towers. The stuns really help. My base was designed to funnel the waves directly into the heroes cluster, but pathing them as such that your heroes can aggro long before they get to their target. The base wasn't designed for arrow towers. i see. my suggestion for rear. is that you should add a sort of braker. like on war machines. the enemies will walk around the walls when they spawn. once they pass that, they will be funnel into the braker, which will path them to walk upwards expanding the pathing till all enemiess reach guild hall. this trick will allow your heroes to reach them before they start attacking and procing, not to mention if hall is destroy they will attack the other buildings instead of your heroes. 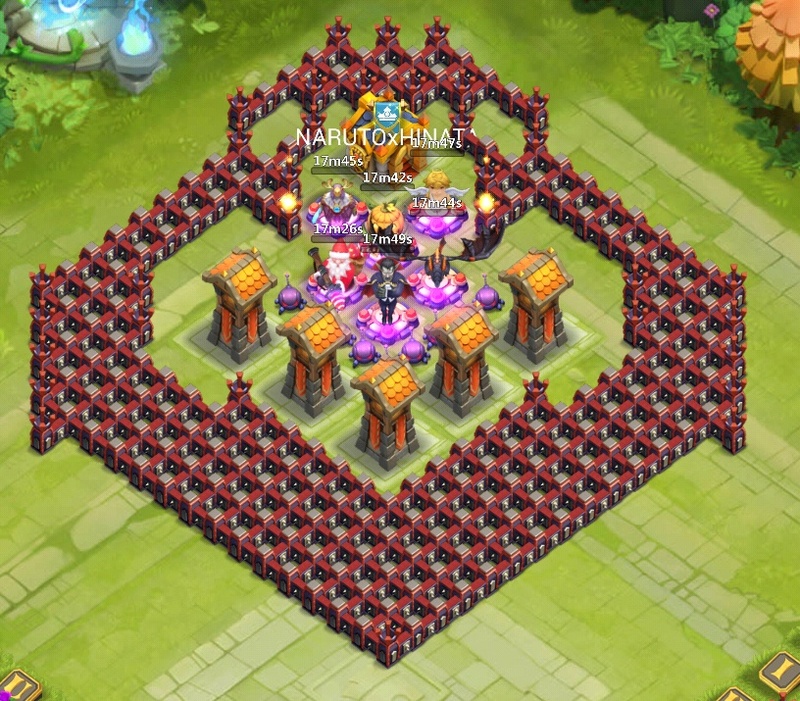 you got a great base, but do consider making a rear wall formation like on war machines design, it will help. on your base core proc once and on war machines none, nor did other enemies, which on yours alot of them did. 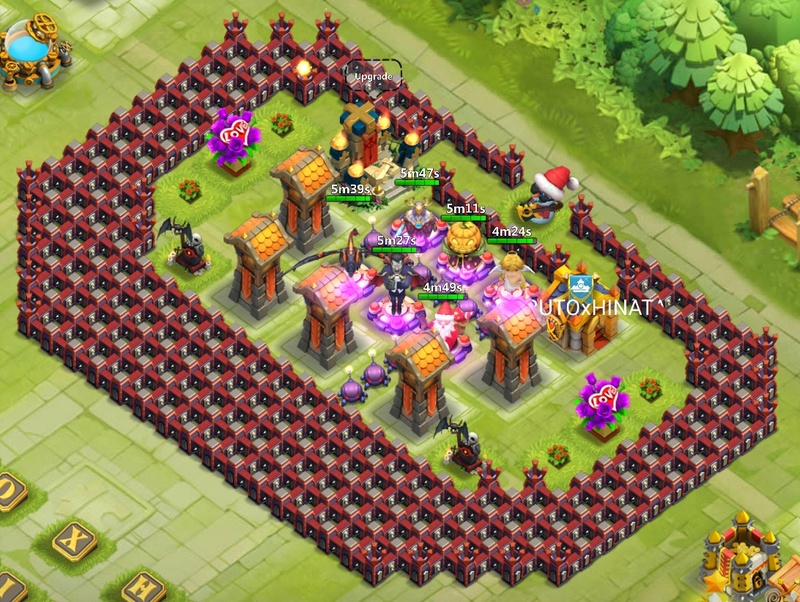 anyways magic towers will make any base great, the real challenge for a base is without them. but i think your base will give war machines a run for its money. lets hope so. Who would you use if you didn't have both Vlad or moltanica. ?